Personal Injury Attorney in Perth Amboy, NJ | Andrew S. Maze, Esq. If you have been seriously injured because of negligence, you should speak to an attorney as soon as possible. Speaking with an attorney can ease much of your stress while you go over your legal options with a legal professional. The Law Office of Andrew S. Maze has significant experience guiding clients through all personal injury matters in New Jersey. You may be eligible for compensation for the emotional, physical, and financial impact of your injury. Our firm is ready to assess your case, guide you through your legal options, and take on your case for maximum compensation. For decades, The Law Office of Andrew S. Maze has proudly served clients in Perth Amboy and all of New Jersey who are the victims of negligence. Contact our firm when you need an experienced legal team to fight for your rights. We are ready to fight for you. If your injury was caused by someone’s negligence, we will fight for your right to just compensation. While you focus on recovering to the best of your ability, we are dedicated to representing your needs. It can be stressful to deal with an injury. You don’t need to stress about picking the right attorney. 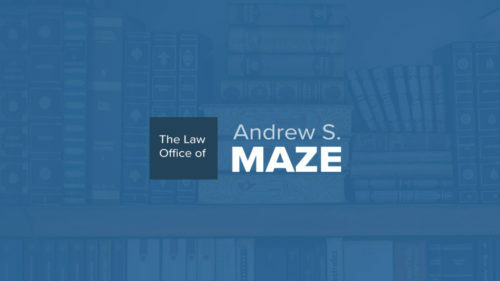 Contact The Law Office of Andrew S. Maze.